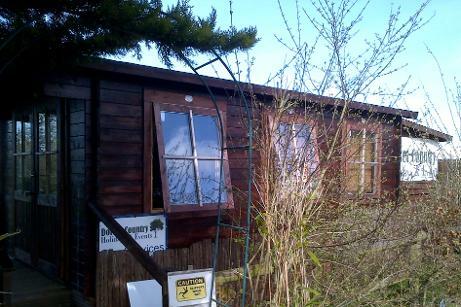 Dorset Country Holidays Glamping is easily accessible by both road and train. 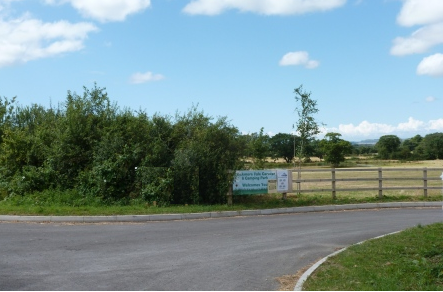 We are located at Blackmore Vale Caravan Park. If you wish to get directions by road to Dorset Country Holidays Glamping, simply enter your location in the car route finder tool below. Once you have arrived please continue along the tree-lined drive, passing through the hedge. Continue past the lodges follow the drive round to the right and turn right to the brown building. 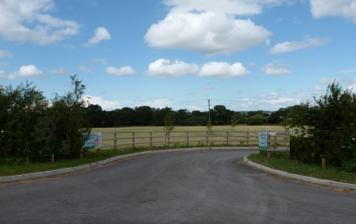 This is where our site services team are based we can then get you parked and checked in. For those arriving by car below are images of our entrance so you know what to look out for. If you are heading EAST on the A30 toward the town of Shaftesbury, the road in front of you will have a sign, post box and red phone box as shown below. The entrance is immediately on your left BEFORE the lay-by. 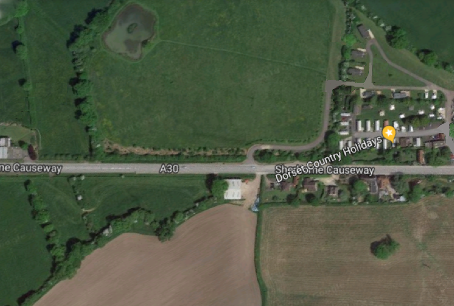 If you are heading WEST on the A30 from Shaftesbury toward Yeovil, the road in front of you will have a large white building on the left, and on the right a wall followed by hedge. 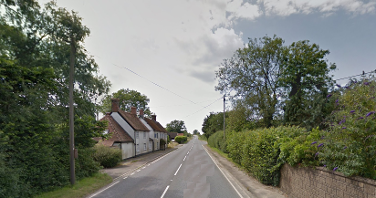 Once you pass the red phone box on your right, the entrance is immediately on your right after the lay-by. Once inside the holiday park please continue along the drive; past the lodges. Follow the drive round to the right & turn right. Our Site Services team will check you in. If you prefer something a little more traditional we also have written directions to the caravan park from various UK locations and information on reaching Blackmore Vale Caravan Park by train. 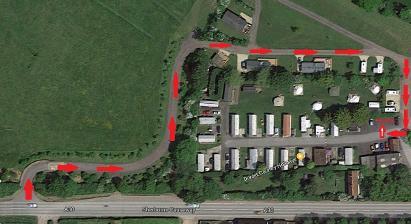 At the bottom of this page you will also find a map showing the exact location of our site. Gillingham (Dorset) train station is located only 3 miles away. This station has direct services hourly on the London Waterloo and Exeter St David line.